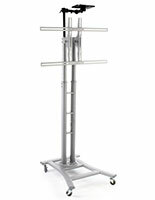 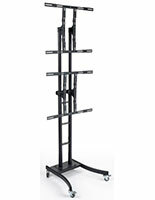 Our economical MB Series TV stands are designed with usability in mind. Available in a wide variety of sizes, styles and finish colors, these versatile television and monitor displays offer features such as sturdy caster wheels, height adjusting shelves, moveable brackets and add-on accessories. 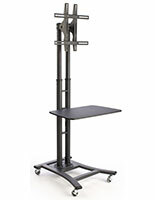 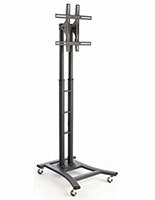 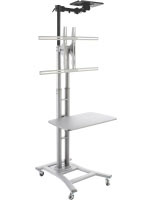 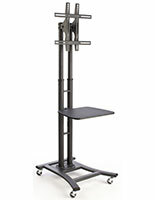 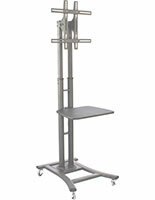 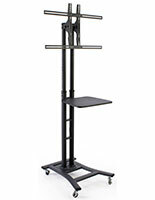 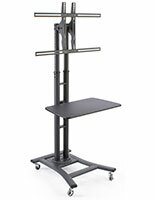 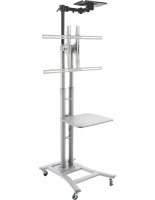 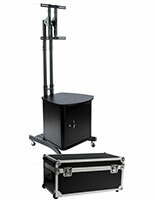 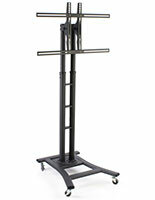 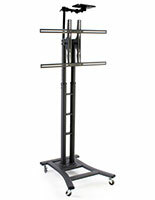 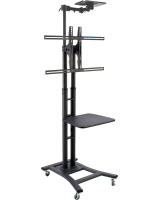 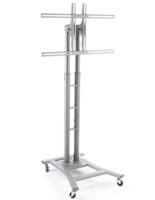 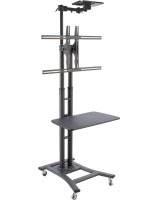 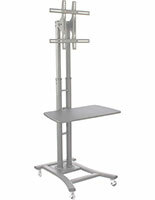 MB TV fixtures are a great choice for use as multimedia presentation stands. Portable television or monitor displays are also a superior option for trade shows, sales floors, conferences and e-learning centers. 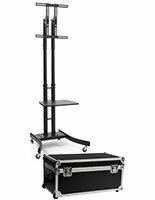 Many models from this affordable line even include carrying cases for maximum portability. 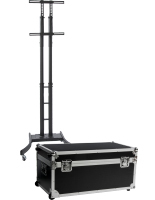 The MB line of television stands represent some of our most cost-effective portable monitor displays for commercial, professional, institutional and trade show environments.